Hear him roar: Djokovic was voted ATP Comeback Player of the Year. 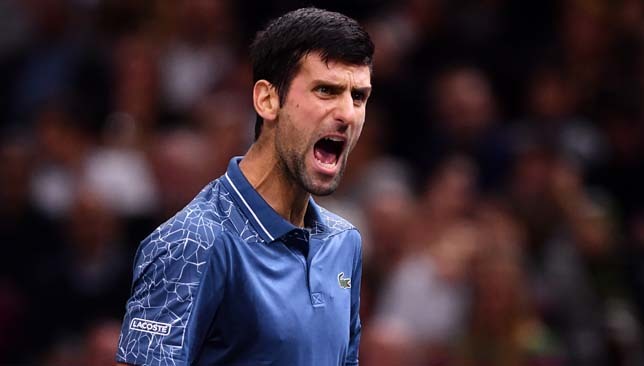 Novak Djokovic revealed that a conversation with Martina Navratilova – among others he had with several sporting legends – helped him get passed the emotional “wall” he hit during his slump. Djokovic, who was voted ATP Comeback Player of the Year this season, climbed from 22 to No. 1 in the world over the past 11 months, and ended a two-year Grand Slam drought by claiming the Wimbledon and US Open crowns. 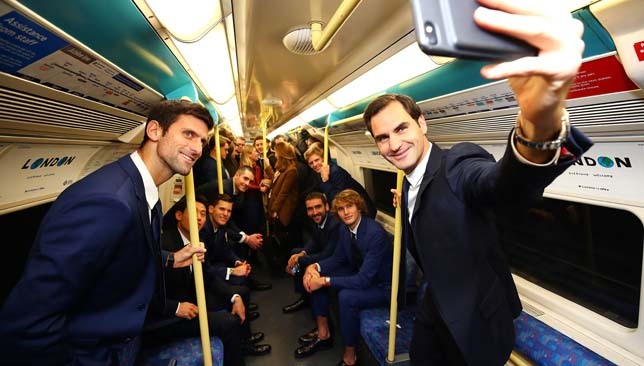 The difficult period he went through from mid-2016 up to this year’s spring has been well-documented but on Friday at his ATP Finals pre-tournament press conference, Djokovic further explained how he regained his competitive edge, and the mentality shift it required. “A few years ago after winning Roland Garros, holding all four Slams at the same time, I was reflecting on this many times before, that I kind of emotionally hit a wall. I never thought that would happen, that I would have a difficulty to compete, emotionally at a high level, and try to reengage myself to perform. I’ve never lost the passion for tennis, I enjoyed practicing, I enjoyed playing, but trying to compete at that time was a struggle,” said the 31-year-old Serb. Over the past few years, Djokovic had to transition from being a guy who lived, breathed and prioritised tennis above all else, to being a father of two and a family man who can still compete and win at the highest level in the sport. “For me when I became a father [for the first time] I had an amazing wave of confidence and motivation and I had the best season of my life arguably in 2015 and the after that ’16 was great until half of the year, second half was so and so and then the [elbow] injury started to get worse. I thought the injury affected on the emotional level as well, I’m quite sure about it. “So it took me some time to juggle everything and understand how I can find an optimal balance where I can function at my very possible best as a tennis player and also as a husband and a father and I feel like in the last six months I managed to find that balance. What will happen in the future, years to come? I don’t know, I don’t have a crystal ball unfortunately but right now I’m just trying to enjoy the moment,” he added. Djokovic’s success this year was greatly helped by his reunion with his coach Marian Vajda at the end of March ahead of the clay-court season. The ATP revealed on Friday that Vajda won the Coach of the Year award and Djokovic believes it is well-deserved. “Marian is more than a coach for me, he’s a friend, he’s a family member and someone I can always rely on. Even when we weren’t working together for 12 months, we were constantly communicating, talking about life, about family, about tennis. So we have that relationship that almost has an unbreakable bond. To have him officially back as a coach was obviously a treat for me,” said the 14-time Grand Slam champion. 🤔 @JohnIsner or @DjokerNole, who are you backing? Djokovic has already secured the year-end No. 1 ranking now that the battle between him and Rafael Nadal for the top spot is over due to the Spaniard’s withdrawal from London. The top seed is gunning for a sixth ATP Finals crown, and shares a group with Alexander Zverev, Marin Cilic and debutant, John Isner. Djokovic begins his campaign at the O2 Arena on Monday night (not before 20:00 local time, midnight UAE time) against Isner.